RED-D Customs of Pune has modified a Maruti Baleno premium hatchback into an uber-luxurious car. 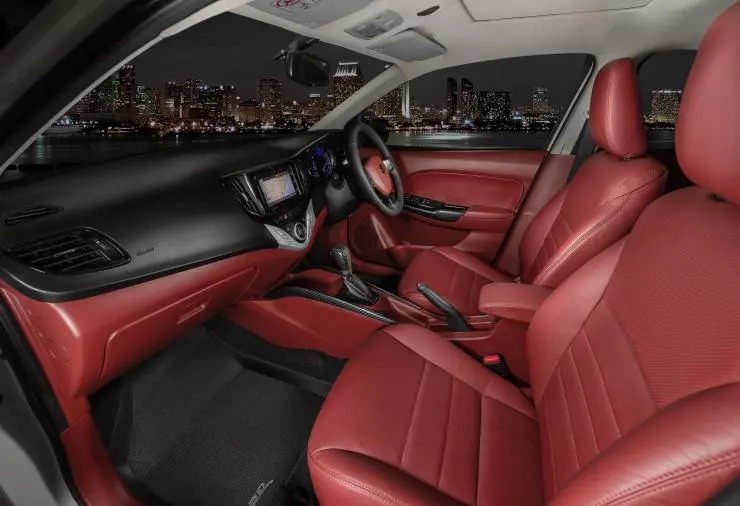 The interiors of the car have received a thorough once over to make the Baleno look and feel luxurious from the inside. As for exterior modifications, the car receives a hatchlid spoiler with a sporty, carbon-fibre finish. The rest of the Maruti Baleno remains stock. 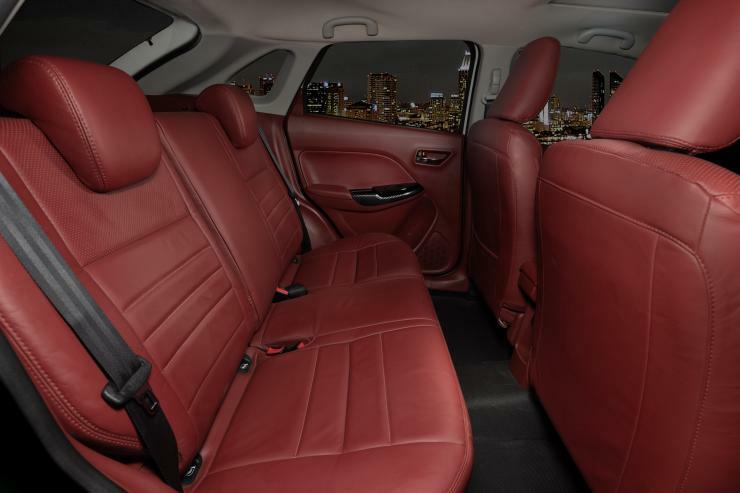 The changes on this car’s interior include leather seats at the front and the rear. While the roof gets a beige trim, the dashboard is finished in dull red and black. The door inserts, center console and the steering also get the dull red finish, in keeping with the overall theme. All in all, the changes greatly elevate the look and feel of the interiors, and make the car seem a lot more luxurious than the stock version. For pricing and other details, you may get in touch with the customizer here. The Maruti Baleno is India’s best-selling premium hatchback, outselling both the Hyundai Elite i20 and the Honda Jazz by a significant margin. 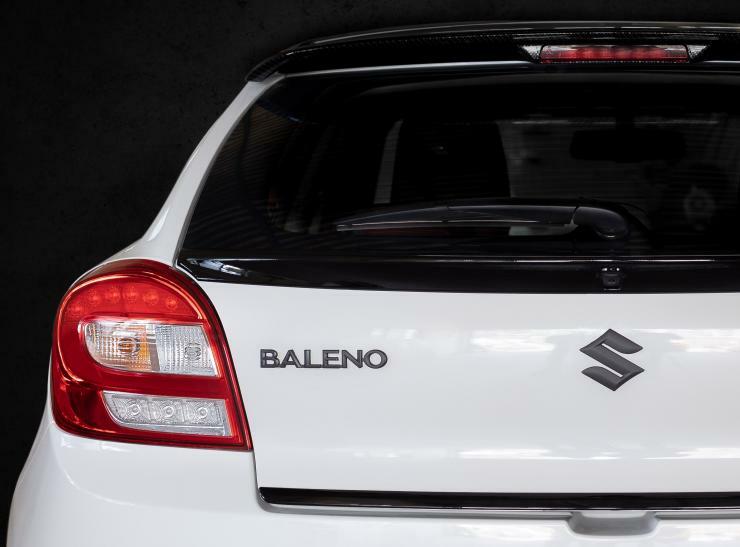 Based on the Suzuki HEARTECT platform, the Baleno is the lightest car in its segment, and this makes it both peppy and fuel efficient despite its engines not being the most powerful in the segment. The car is offered with three engine and two transmission options. The petrol engines on offer include the 1.2-litre naturally aspirated K-Series unit with 82 Bhp-113 Nm, and a 1.0 litre-3 cylinder BoosterJet turbocharged unit with 100 Bhp-150 Nm. The diesel motor is the 1.3-litre Fiat Multijet turbocharged unit with 74 Bhp-190 Nm. All engines get 5-speed manual gearboxes as standard while the 1.2-litre petrol is also available with a CVT automatic transmission. Prices of the Maruti Baleno start from Rs. 5.48 lakhs, ex-showroom Delhi. Twin airbags and ABS are standard safety features across trims. In July 2018, we featured a Mahindra Thar modified by RED-D Customs. You can see it here. « 4X4 (Maruti Gypsy, Tata Safari Storme) vs AWD (Mahindra XUV500, Jeep Compass) SUVs: Who should buy what!